One of our earliest assumptions when we started building Simply Schedule Appointments was that folks would be mostly booking appointments in the near future – mostly in the next week or two. Of course, there’s nothing like real people using your software to test your assumptions! As more and more folks have started installing and using the plugin, we’ve had requests for all sorts of features and flexibility that we we’d never have guessed we’d need. We love when our customers speak up and let us know what they want. We listen! If there’s something you’d like to see in Simply Schedule Appointments, just let us know. 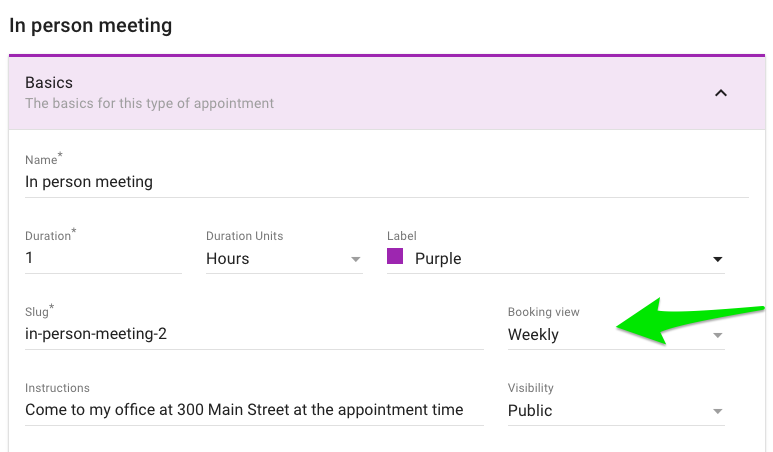 Anyway, the feature we’re talking about today is adding some flexibility in how the available appointments can be viewed when a customer is booking an appointment. 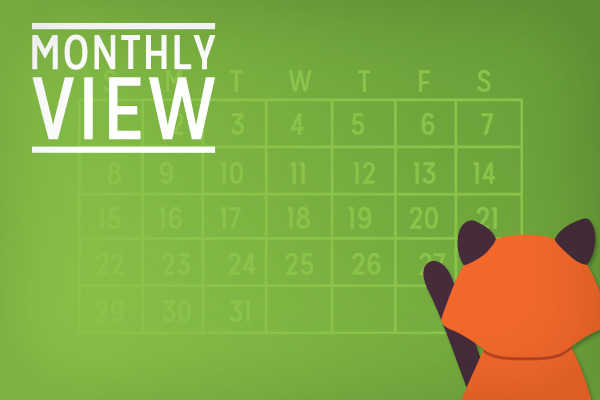 We’ve gotten a few requests for showing an entire month’s worth of available dates rather than just the week that we show by default. Today we’re releasing that feature! We start with today because that way you can always see the next 7 days. And you don’t have those awkward booking situations at the end of the week where you’d just see mostly dates in the past that couldn’t be selected. Ok, we don’t have a great name for this view, but we added some handling to display the booking app intelligently in special situations. Let’s say you’re setting up to take appointments for one-on-one interviews during a 3-day conference. You’re likely going to take advantage of our Availability Window in the Advanced Scheduling Options to make sure that appointment type can only be booked during that three day event. Since the event is only three days long, it doesn’t make sense to show either a weekly view or a monthly view. Here’s where we introduce our new, um, shortly view. Rather than asking your customers to wade through tons of days before and after this three-day conference, we just show the available dates. What if there’s just one day? For example, if you want to let folks book a time to use a photo booth at a party? If there’s just one day of availability, we just fast-forward you right along to selecting a time and skip the date altogether. So much easier! We’re super excited to release this feature because we know some of you have been looking forward to it. The booking views are available in all versions of Simply Schedule Appointments, including our free Basic package.